Lenders also consider your credit report to decide on this. Your credit score is a magical 3-digit number which determines whether or not you are eligible for a loan and if you’re eligible then at what rate of interest. Lenders also consider your credit report to decide on this. 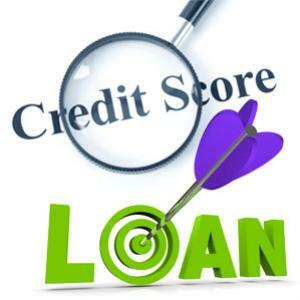 Go through this article to know what your credit score does not reveal and the 5 C's your lender considers while assessing your loan request. Status of your employment – You should know that it doesn't affect your credit score directly regarding whether or not you are employed. However, losing a job can affect your capacity to pay back your credit cards and therefore, your credit score might drop since you may not be able to make your debt payments on time. How much you earn every month – Apparently, your increased income doesn't reflect on your credit reports and hence cannot improve your score. However, whenever you apply for a loan, you will be asked regarding your monthly income so that the lenders can assess whether or not you'll be able to manage your loan properly. At what interest rate you are paying your credit cards – When you apply for a credit line, your creditors will not come to know at what interest rates you're paying your other credit cards. How old you are – Your credit score doesn't reveal whether you are over sixty years of age or you&'ve just started to earn your livelihood. However, it goes without saying that usually your credit history will be long if you are old and that will affect your credit score; you will have a better score if your credit history is long. Whether or not you are married – This is one important thing to know about your credit score. Your credit score will not automatically merge with your spouse's credit score after you get married. Your scores commingle only when you jointly apply for a credit line. The source of all your debts – Your credit score may automatically change if you experience a financial crisis or due to a divorce. However, it is not disclosed in your credit report. Where you live – It is a known fact that the average credit scores are better in some states than others, but credit scores don't depend on your geographical location. It is due to the fact that some of the states have high scorers more, in respect to other states. It is just your credit behavior, that is, how you manage your credit, which affects your credit score. The lenders usually look for the following 5 C's to decide whether or not to grant your loan request or at what rate to offer you the loan. Collateral for secured loans – When you apply for a loan against collateral, such as in case of a home loan, the lenders at first assess the value of your collateral and the debt secured by that collateral is subtracted from the value. The equity that remains plays an important role in the lender's decision. Your credit history – This is probably the most important factor which lenders take into consideration. Your credit history reveals how well you have managed your credit lines till date. You are eligible to obtain a loan at suitable rate if you've managed your credit responsibly. Worth of your capital asset – It is true that your household income is the prime factor which the lenders consider while assessing your loan request, but your capital that is your investments, savings along with other assets also affect your loan eligibility. Your capacity to repay a loan – While deciding whether or not to grant your loan request, the lenders want to assure that you'll be able to manage your payments comfortably. Therefore, your employment history can be a good indicator that you'll be able to repay the loan on time. The conditions – Apart from above, lenders also want to consider the reason for which you want to obtain the loan. They may also consider economic and environmental conditions, in case you are buying a property, in order to make the decision. By acquiring knowledge about these 5 C's and what your credit score does not reveal, it will be easier for you to plan your financial moves so that you can obtain loans at terms and conditions which are most suitable to you.